If the Koroma government had properly managed the Ebola funds grant-aided to the people of Sierra Leone last year, of which $14 million was stolen, it would not have been necessary for the government to significantly increase its borrowing requirement in order to address its revenue shortfall this year. Despite strong advice from the IMF and World Bank for the Koroma government to keep within the agreed borrowing ceiling, the government’s insatiable appetite for big spending, amidst a deadly Ebola crisis was all too apparent. The criticisms about the government’s uncontrolled borrowing is not only about increased national debt, but the scale of the increase and the government’s poor prioritisation of spending in the face of mass death, poverty and suffering. Last year, as thousands of Sierra Leoneans were dropping like dead flies – knocked out by the Ebola virus, the government was too busy negotiating a crooked deal, to deceptively purchase 50 buses it says were needed to meet the nation’s public transport needs. At the same time, over 200 doctors and nurses in hospitals and makeshift community health centres died, after putting their lives at risk, trying to make do with poor quality and sometimes little or no protective wear. The government said it had no money, but yet could borrow hundreds of millions to spend on its grandiose capital projects, purely for its own vain political reasons. Hospitals could not cope with the number of people across the country that was falling victims to the virus. Caring for patients with other multiple diseases that were also taking the lives of thousands every month, took a back seat. No money in the government’s kitty. 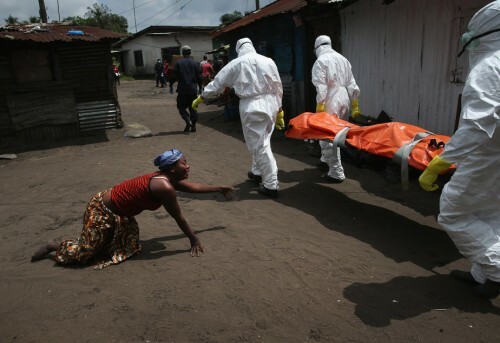 There were no ambulances in most parts of the country to collect suspected Ebola cases and dead bodies strewn on street corners and sidewalks. Doctors, nurses, ancillary staff and those collecting the dead went unpaid. The government said it had no money, despite billions of dollars donated by local organisations and individuals to State House to help fight the crisis. That money, still remain fully unaccounted for. Yet the government said its priority was to borrow $12 million to purchase 50 public buses. It has also agreed to a $400 million loan to be provided by the Chinese for the construction of a second international airport to be built in the north of the country – the ruling party’s seat of power. Whilst government borrowing was going up significantly in order to keep pace with its unscheduled spending, ministers and officials were neck deep in misappropriation of funds. Contract kickbacks, corrupt public procurement decisions, payment of ghost workers, inflating of government departmental costs, and abuse of stipends, went uncontrolled, as evident in the National Audit Office investigation report. The non-payment of monies owed to the private sector by the government, has also spiraled out of control, thus depriving businesses of much needed working capital. Many are now unable to even meet their tax obligations with the NRA. Hundreds of local businesses are today struggling to find their feet after Ebola. Neither can they afford to borrow from banks, due to the high interest rates caused by the government’s presence in the financial market – looking to satisfy its hunger for loans and credits. But the massive government’s borrowing and spending was in clear breach of its agreement with the IMF to keep within the negotiated ceiling. And when the IMF team visited Sierra Leone in September this year, they made their feelings known to the government. The Sierra Leone economy has suffered tremendous hardship in 2014 and 2015 because of the adverse impact of two significant exogenous shocks: the Ebola epidemic and a severe crisis in the iron ore sector. The shocks have eroded some of the progress we made in recent years in social and economic areas, and have generated new challenges for policy implementation and economic prospects. As of end-September 2015, more than one year after the onset of Ebola, 8,704 people were infected and 3,589 died; the number of vulnerable persons increased as many lost their source of income, or labor force for their businesses. The non-iron ore economy slowed significantly in both 2014 and 2015. The adverse impact of Ebola has been compounded by the crisis in the iron ore sector, set off by the collapse in global prices that exacerbated the financial difficulties facing our iron ore companies. The crisis resulted in the cessation of production, at end-March 2015, for the two companies operating in the sector; and the bankruptcy of African Minerals Limited (AML), which accounts for 80 percent of the market. In mid-April, through a bidding process, Shandong Iron and Steel Group (SISG—the second investor in AML), became the sole shareholder. However, SISG has not confirmed a timeline for the resumption of production. Consequently, total real GDP is projected to decline by more than 20 percent in 2015. Despite the tremendous challenge posed by the Ebola epidemic, the Government, in cooperation with donor partners, has made significant progress in curtailing the virus, and has set the country on a solid path to becoming Ebola-free. For the first time since the start of the epidemic, the state of emergency has been eased. The implementation of actions to fight Ebola, including through the National Ebola Response Center (NERC), has benefitted from the continued support of our development partners, including the International Monetary Fund (IMF) through two augmentations of the current Extended Credit Facility (ECF) arrangement and debt relief. This invaluable support has been instrumental in addressing balance of payments and budget financing needs generated by the Ebola epidemic, and in fighting the disease. The Government is hopeful that the declining trend being observed in recent months will be sustained, and lead to an “Ebola-free” Sierra Leone by the end of the year. As the epidemic is brought under control, the Government has put in place a Post Ebola Recovery Strategy (ERS) that aims to put the economy back on the track of economic growth and stability. Broadly, the strategy focuses on three elements: (i) getting and staying at zero new cases; (ii) implementing immediate recovery priorities; and (iii) transitioning back to the Agenda for Prosperity Plan (A4P) in the medium to long-run. The estimated cost of the plan is US$1.3 billion. The Government had an opportunity to present its plan to a UN conference held in July. Program implementation has become very challenging as the Government was faced with the adverse impact of these two exogenous shocks, both of which have lingered longer than expected at the time of the second review of our ECF arrangement. At end-December 2014, program performance was weaker than anticipated, mainly because of Ebola-related factors as explained in the attached Memorandum of Economic and Financial policies. In 2015, program performance was back on track as all end-June performance criteria were observed. Only the end-June target for poverty related spending was missed. The end-June performance target for gross reserves was met. However, this relatively strong program performance has come at the cost of weak budget implementation, as expenditures across all categories were curtailed to meet program targets, including poverty related spending. The Government is requesting a waiver of nonobservance of performance criteria for the breach of the ceiling on net domestic bank credit to the central government, on net domestic assets of the central bank, and on the floor for gross foreign reserves of the central bank for end-December 2014. In addition, in light of the more severe shocks than previously anticipated, the government is requesting an increase of access equivalent to 45 percent of quota (distributed in three tranches starting from this review) to take advantage of the new access norms. We would request that all three tranches be on lent to the budget to ease financing constraints in 2015 and 2016. This additional financing would be complemented on our side by greater adjustment than previously anticipated, with non-wage, non-interest spending (excluding foreign financed investment projects), declining by 0.5 percent of GDP in 2015, relative to 2014. In addition, we will introduce measures in 2016 to increase revenue collection, including limitations on import duty waivers granted to Ministries Departments and Agencies. We will also seek to increase the top tax rate personal income tax from 30 to 35 percent, in line with regional average. Finally, we will eliminate implicit subsidies for petrol consumption, which have been executed through varying the excise rate to keep consumer pump prices constant. These measures should provide approximately 0.6 percent of non-iron ore GDP in 2016. The Government believes the policies and reforms presented in the attached MEFP are adequate to achieve the program’s objectives. However, it stands ready to take any additional measures that may become necessary for this purpose. We will consult with the IMF on the adoption of any additional measures and in advance of revisions to policies contained in the attached MEFP, in accordance with IMF policies on such matters. The Government requests the completion of the third and fourth combined reviews of Sierra Leone’s program supported by the IMF under the ECF arrangement, the augmentation of access under the program by 15 percent of quota for each of the fourth, fifth and sixth reviews, and a re-phasing of the fifth disbursement so that it becomes available immediately upon the completion of the IMF Executive Board meeting and the re-phasing of the 6th disbursement from June to April 2016. In line with our commitments to transparency in government operations, we authorize publication of this letter, the Memorandum of Economic and Financial Policies, as well as the Technical Memorandum of Understanding attached to it; and the staff report, including placement of these documents on the IMF website, in accordance with IMF procedures. Thank you all for giving your valued comments on this loan issue and I can see the Chinese like all other colonialists do not mean well for Africans in general. But really I do not find much fault in the Chinese but in the African countries that do not have their houses in order. I left the comfort of my Knightsbridge home in London and went to my home country Nigeria after nearly forty years away. And for two years I tried to sell a near perfect economic recovery plan for Nigeria which is what I do for a living and for all the two years at home in Nigeria, I was treated like dirt and all this while I saw scores of Chinese construction executives enter various government offices like kings. Africans do not know economic plan and there is a massive disconnect between the government and the governed. We all need some kind of Arab spring to keep these politicians in check. The writer of the commentary by the name of Observer has just summarised the facts about our situations in Sierra Leone. And if EBK is the real President of our country, let him please meditate over those words positively. The Chinese loan the APC government is soliciting is a burden on the country’s future. This is not politics, but cruelty being imposed on us in this country. Sierra Leone voted for the leader they deserve. For over 20 years of corruption, under development and backwardness – concluded with war and destruction, it was unimaginable or unbelievable that the people of this country will vote APC back in office after all the sacrifices the military and SLPP made to rebuild the nation from ashes. These people, though they claim to be educated, yet they lack intelligence or common sense. They have reduced most of the people that voted for them to either thieves or beggars. 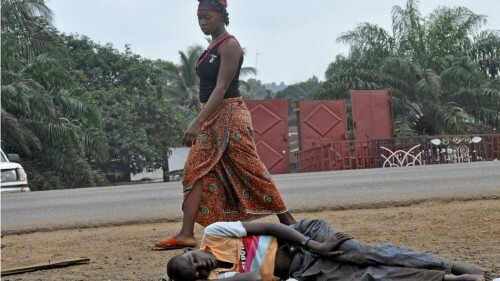 Such behaviors can be seen in the streets of Freetown. Conventional wisdom teaches us that there can be no success in life by stealing or begging, either as an individual or a nation, because you will always end up as the least respected or least developed country in the whole universe. This government has no clue how to run a country. When running your home and your children are dying of hunger, no money to buy medicines when they are sick, no money for school fees or uniforms, then it is suicidal to put in an order for a Rolls Royce car. When you cannot afford to maintain your family, you cut back on frivolous expenses and concentrate on only the essentials. So it should be with our country. EBK please forget about your frivolous airport that the Chinese want to give you a loan for, and build for you. I am sure you dream everyday of the Ernest Bai Koroma International airport next door to your hometown. But I urge you to be selfless and think about your children – the Sierra Leonean people. That loan will be far more useful to us if used for sanitation, health, education and and other basics. If the Chinese want to help, let them build a bridge connecting Lungi to the capital – that I can assure you will be much cheaper. Let them upgrade Hastings airfield into an airport. The Sierra Leonean people will not benefit in any way – the interest on that loan will be astronomical and we, the Sierra Leonean people will be paying off that loan for centuries. Only the Chinese will benefit. They will use their own contractors, architects, builders, etc so the payments go back into their pockets. Lungi is perfectly fine. I have never seen it overflowing with flights or people. You cannot compare the light traffic at Lungi airport with the heavy flow at Murtala Mohamed Airport in Nigeria or Kotoka International Airport in Ghana or even Banjul International Airport in The Gambia. But I wonder whether you will listen to the people who voted you in…….the Sierra Leonean people. Please remember that you do not own the country; it belongs to us all.